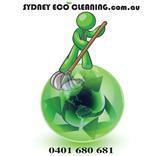 At Sydney Eco Cleaning we take great pride in the quality cleaning we provide to our customers homes and offices. Our quality work is the reason we maintain our loyal Sydney customers. Our business growth is a direct result of the many referrals we receive for a job well done! Let us bring a fresh sparkle to your home or office today! By selecting “Publish” you are agreeing to our review guidelinesftrqtdqydqvscq. Job Description: Looking for a reliable, weekly cleaner to clean my apartment. It is in a security building in Rushcutters Bay, and has mostly limestone floors and carpets in two bedrooms. Three lovely young ladies cleaned my apartment beautifully this morning. I plan on using them fortnightly in future. Lynda hired Sydney Eco Cleaning for their End Of Lease Cleaning job. Job Description: Updated 10 Sep 2018 at 11:34am: Hi I’d like to have my place cleaned ASAP as I’m having a baby this week!! Very efficient a team of three came to clean my apartment before the arrival of my baby- sparkling clean! Michael hired Sydney Eco Cleaning for their Office Cleaning job. Job Description: Deep cleaning this week that includes carpet cleaning. Job Description: I just want the bathroom (its small) to get a good scrub. Job Description: we require an office with three bathrooms to be cleaned approx once per month. vacuuming of carpet flooring, vacuuming and mopping concrete floor, cleaning kitchenette. Job Description: Updated 11 Aug 2017 at 01:23pm: Need a cleaner to clean my one bedroom apartment and steam clean my couch (if possible but not absolutely necessary). Willing to pay more to get it done asap! Updated 11 Aug 2017 at 01:23pm: Need a cleaner to clean my one bedroom apartment and steam clean my couch (if possible but not absolutely necessary). Willing to pay more to get it done asap!